Cornish miner James Snell arrived in Kawau in 1853 and bought 105 acres at Long Beach, as it was known at the time, the following year. Snells Beach is situated immediately west of Kawau Island the location of the historic Mansion House, once the private home and land of (Sir George) Governor Grey (14 April 1812 – 19 September 1898). 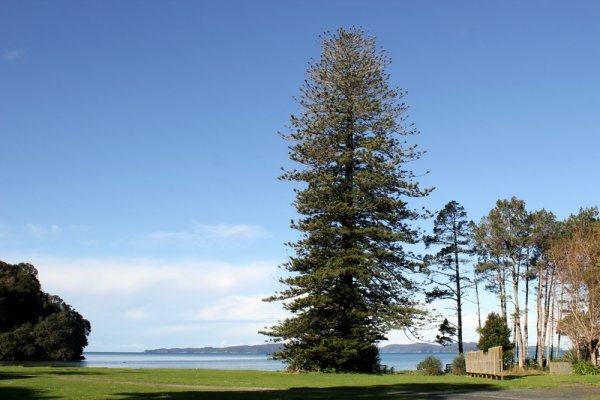 Whilst there is no specific known history of the tree, it is considered by locals to have been gifted to James Snell by Governor Grey around 1870. Grey was an avid collector of plants from all over the world and was well-known for gifting trees to acquaintances he knew both locally and in other parts of the country. There are a number of other local trees that are recorded to have been gifted or planted by Sir George Grey. 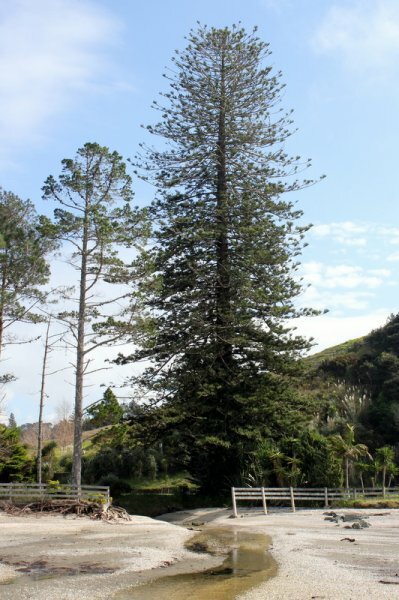 The English oak at Snells Beach Reserve AR/0731, the Norfolk Island pine at Scandretts Bay AR/0730 and a tree planted on the beachfront of the Cantyre Estate at Mahurangi Heads is known to have been planted by him when he was Governor (Snells Settlers, 2017). 3) Kawau Island Flora Department of Conservation.